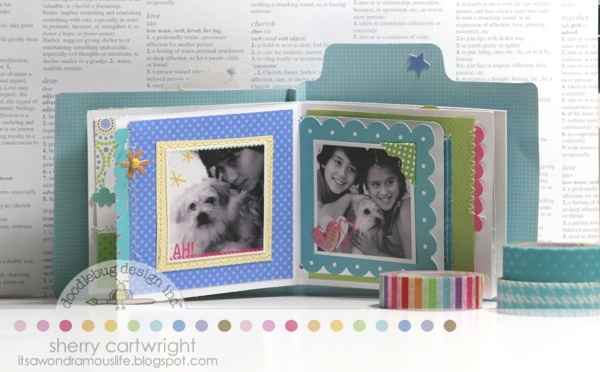 This week we'll be sharing some creative ways to create unique mini albums with Doodlebug's products. 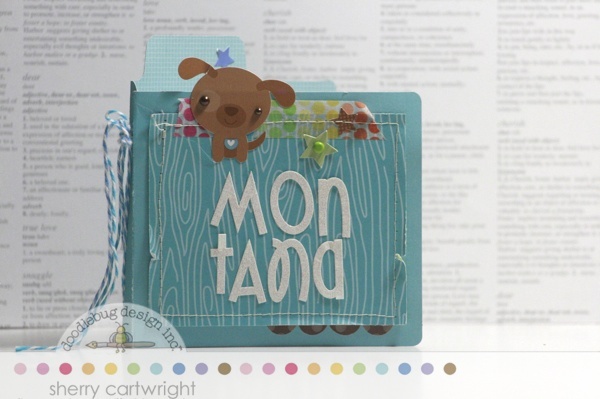 Today we're excited to share this darling idea created with the Doodlebug Create-a-Card Collection components by Sherry Cartwright. She wanted a small and simple way to highlight some of her favorite vacation memories. It's the perfect size to drop in your purse and show off to your friends and family. Awe! Your dog looks exactly like my dog! We miss him so much! This mini album would be a prefect way to honor him and share our memories. Cute! What a great way to use those cards. The file folder shaped card is perfect! Cute. But I figured the album was about her dog, not vacation? I's adorable. I love it. Johanne L.